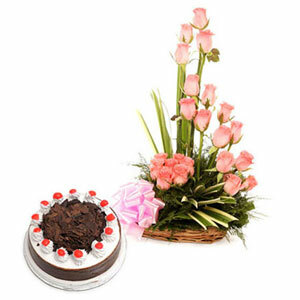 Do you want to blend some sweetness and fragrance in your dear one’s life? 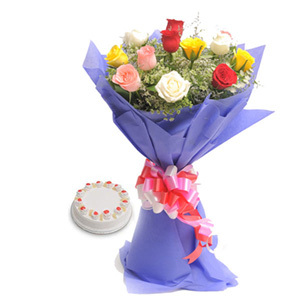 We have this attractive bouquet of flowers packed perfectly with colorful paper and delicious cakes and this is going to definitely bring that pretty smile on your dear ones face. What are you waiting for? Just order it now!! The flowers were very nicely wrapped and the cake was also very tasty. The best thing was that it was delivered on time! 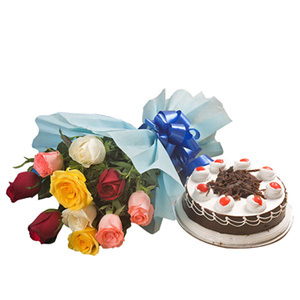 Be it the bouquet or the cakes, everything was super fresh in this delightful combo. The delivery service of Giftalove was also amazing. I recommend this product to all those people looking for amazing New Year gifts. 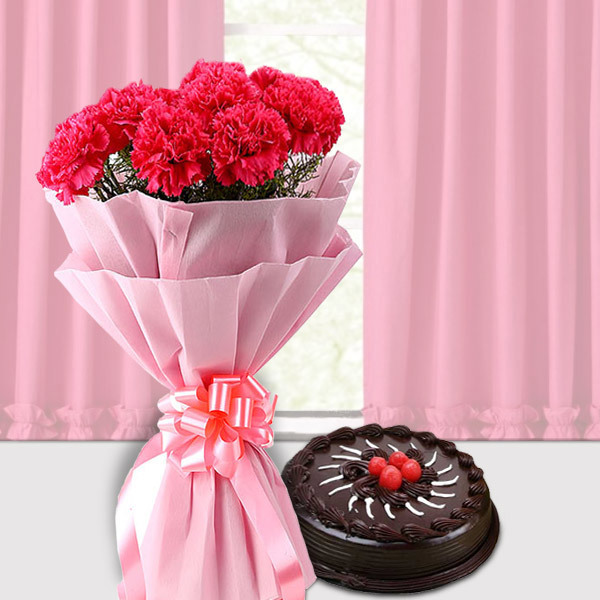 The gift item is worth for a person who is in love with the pink carnations and chocolates. Giftalove has amazing delivery service. I changed the location twice but they still make it sure to deliver the product on time without any inconvenience. 5 A perfect combo for any occasion. I ordered this product for direct delivery at my best friend’s place on her birthday. It got delivered on time as I opted for midnight and the carnations were also fresh and blooming. The chocolate cakes was also delicious. Thanks giftalove for saving my reputation.